Santa Baby is a pink shimmery crelly with pink flecks and pink glitter. Jennifer (owner & creator of FLL) made sure to note that this was inspired by the Eartha Kitt version of Santa Baby. I love her dearly for making the distinction. My version of Christmas only includes the greats like Burl, Bing and Eartha. The formula was excellent, and easy to work with. It's fairly difficult to notice in the photos, but there are super fine pink flakes that take this color to the next level. The swatches show three coats. Christmas Day Aftermath is a gumdrop scented glitter bomb packed with hexes and shreds of various sizes. The scent was sweet, but not at all overwhelming. The formula was just right so that you got a decent amount of glitter without extra effort. The swatches show one coat over Santa Baby with a second coat on the ring finger. Silver Bells is a silver textured polish packed with sparkling silver glitter. The texture is quite subtle, which is what I prefer. The swatches show three coats with no base color. I love that I was able to build this up to full coverage. 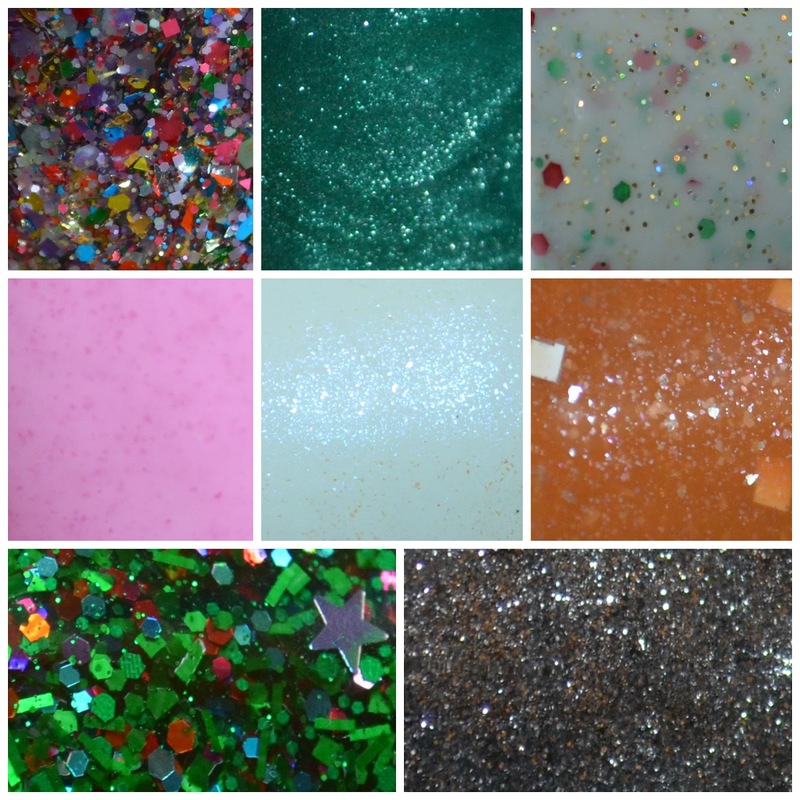 The whole Holidaze collection is currently available on Finger Lickin' Lacquer's Etsy store. I love these! Santa Baby especially. What a fantastic pink! These look great so far. Can't wait to see the others swatched. My favorite is Santa Baby. So great! Love Silver Bells!